After the first part of the Holland collection, the cremes, here are, the shimmers, finally. Be warned this will be a pic heavy post! I'm sure you won't mind, will you? I Don’t Give a Rotterdam! :This sassy steal-blue shimmer means business! I Have Herring Problem : What’s that you say? I need to “sea” this shimmery green-blue? Pedal Faster Suzi! is a lavender tinted pink packed with little silver and pink flecks. Such a sparkly color, maybe even too sparkly for me, I think I'd probably wear it as an accent with a creme like OPI Lucky Lucky Lavender or Sparrow me the Drama since it falls almost perfectly between those two. In terms of formula, it was rather sheer on the first coat and covered nicely on the second one, I did use two coats below but I think I could have gone for three, it dried fast and applied really smoothly so that's won't be an issue next time. Dutch ’Ya Just Love OPI? is one of the polishes I expected to be part of my favorites in this collection and I'm so glad it didn't disappoint : a perfect medium toned warm purple with an unexpected shimmer made of pink, green and of gold particles. Formula was pretty much what you'd expect from OPI, 2 coater, perfectly smooth and even application. Vampsterdam. How cool is this name? A vampy shade for Spring/Summer, you won't hear me complaining. An amazingly cool toned dark eggplant with silver shimmer at the opposite OPI released in the past. I think that's what I would have wanted China Glaze Loft-y Ambitions from the Metro collection to look like. I used 3 coats here because of bald spots but 2 should be more than enough if unlike me you allow minimum drying time between coats. Wooden Shoe Like to Know? is a warm taupey shade with the same shimmer as Dutch ’Ya Just Love OPI?, pink, green and gold shimmer translating into a very visible but not "in your face" gold flash. It's a very nice alternative to your usual taupe and has a faded purple hint that truly sets it apart. Formula was once again, oustanding, almost a one coater. 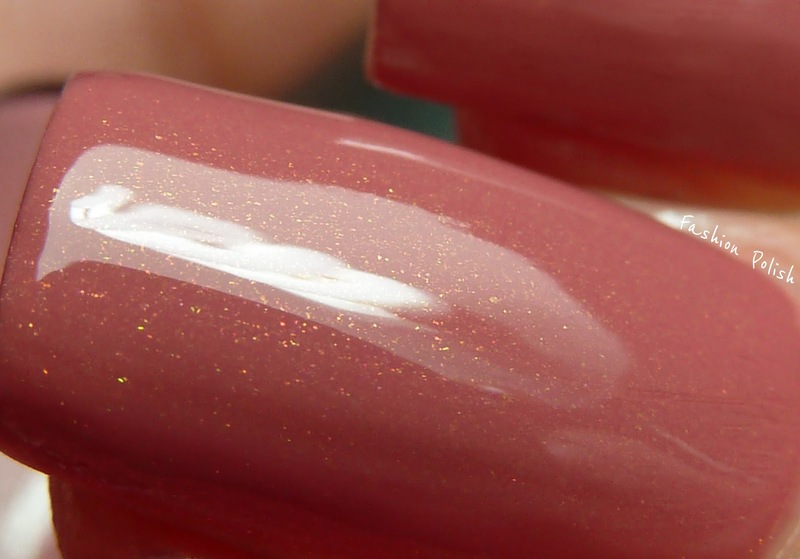 Gouda Gouda Two Shoes is an antique rosy brown or browny rose with, again, a pink/green/gold shimmer. To give you an idea of its base color, I'd say that it's basically the same as OPI Kreme de la Kremlin or Chanel Rose Confidentiel, I'm sure you all know how popular these shades have been. I really love it and how well it applied nicely and evenly in 2 coats. I Don’t Give a Rotterdam! is just gorgeous. I might be biased since have a thing for blues and for shimmer flecks. Well this one's even better with a dusty blue leaning periwinkle base and a formula packed with silver and black flecks. It was a bit sheer but I don't see how it could be more opaque and show all this shimmer at the same time. It did build up with 2 coats though and I'll keep it short: I simply love it. I Have Herring Problem is similar to I don't Give a Rotterdam in terms of finish and formula. The only difference is the darker, dustier and greener tint it has. If you asked me which one I prefer, I don't think I could choose, they are equally beautiful to me in their own way. This is 2 coats. I think this is the best OPI Spring/Summer collection in a long long time. I am absolutely blown away by the shimmers, the blues of course, probably my favorites, but both the browns and also the purples are fabulous. I'm really curious what you all think about this collection. OMG I just died! I love ALL of these! And to think I wrote them off except for 3 from the promo pics! I NEED THEM ALL! Thanks for the awesome review and swatches! Oh my, the last 4 literally took my breath away. Such gorgeous colors... I think I might have to make myself a wishlist. Thank you for the swatches! NICE! Great pictures, Thank you! they are sooooo pretty! and your pics are so gorgeous and detailed; I love them! AHHHHH these are so pretty. I love basically all of them; they look so sparkly! Love these shimmers more than I did the cremes. Especially Gouda Gouda Two Shoes, Dutch Ya' Just love OPI and Wooden Shoe Like to Know! Great swatch pics! Thanks! All of the shimmers are so gorgeous. I have most of them on my wishlist now! OPI did a great job with these. I'm loving this whole collection! Your swatches are great and I can't wait to see it in stores. These are epic!!! This is the sort of finish that I love!! This collection is making me very excited about polish again. Thanks for the lovely swatches! Wow, as I was going through the post I was trying to remember the names of the ones I liked for my comment but I failed because I like way too many of them, haha. This looks like such a great collection! When I saw the promo shots I was very blah about this collection, but these shimmers are simply gorgeous! I MUST HAVE Pedal Faster, Herring, Rotterdam, and Dutch-Ya, and the other three shimmers will be hard to leave behind. I'm soooooo happy OPI is getting on the interesting shimmer bandwagon, as some of my favorite polishes this year have fallen under that heading (for example CG Trendsetter, Essie Coat Azure and Smooth Sailing). I absolutely agree with you and other commenters that this the best large collection OPI has put out in a while. love this! I think Dutchya just love OPI is my favorite! I love all of these! They look awesome. Holy WOW! These are all so pretty, I had no idea they would be so beautiful from the press release. Your nails are PERFECT. I am experiencing nail envy, LOL. :) I think I will have to get a few of these shades. Wow! I'm really surprised by how much I love these! The ones that stole my heart: Wooden Shoe Like to Know?, Rotterdam and Herring Problem. Although if I'm going ot be on a low budget, Herring will win over Rotterdam. ButI agree with you, they are both beautiful enough to own them both. Wow! Very nice, OPI. I just lost my sh**! I want every single one bar Vampsterdam! I wish they were coming out right now! Will be pinching my pennies for these for sure! Wow!!! I really wasn't excited from the bottle pics, but on your nails these are beautiful! My wish list just got longer again!!! I'm DEFINITELY getting all of these except Vampsterdam. Thanks for your amazing swatches, as usual! Gorgeous, beautiful pictures, nails and colors! I will have to get all of these beauties - it looks like a much more grown up collection (vs. muppets - lol)! Thanks for the awesome post! Uh oh - so now I need Pedal Faster, Suzi, Dutch ’Ya Just Love OPI? Wooden Shoe Like to Know? I Don’t Give a Rotterdam! and probably I Have Herring Problem. I love them!!! I'm going to have such a headache deciding what to buy - because I want them all!!! All of these are absolutely gorgeous! I must have them all! I can't wait for these to be released. I have been left bored with recent OPI collections, but this one is blowing my mind. I think I need ALL of these! Thank you for the detailed, beautiful swatches. Waw, these colours are Amazing!! These shimmers are amazing! I'm not usually a huge fan of OPI, but I like all of these. Great swatches! MAJOR LEMMING this whole collection!!! THANKS for the awesome swatches! Wow! I love all of these colors and can´t wait to see them! one of the best OPI collections for me... WOW! Thanks! OM(F)G! When I saw the promo pics I thought I just needed I Have A Herring Problem and Vampsterdam but now... Can't decide which one I like best! All of them? My poor wallet... Great Swatches!! 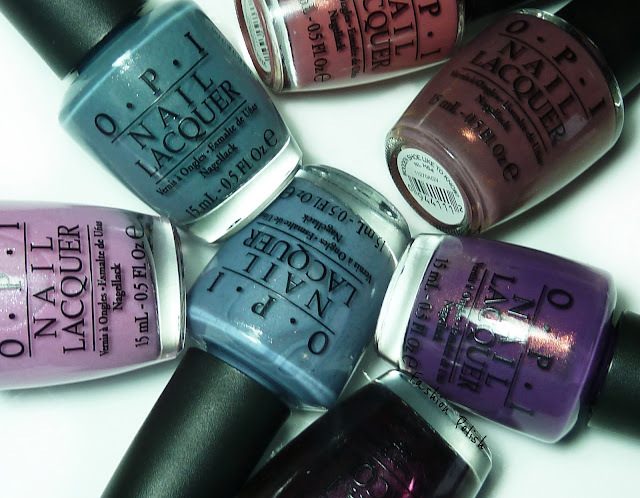 I am craving these so bad.. not only is it because I am Dutch but OPI really outdid themselves with this collection! This is a super nice collection, I cant' wait to have them in the stores! I think I got teary-eyed while looking at your swatches. They're all soooo beautiful. *sniff* Now if only I can get my swatches as beautiful as yours then i just MIGHT get all of these. Yeah.....I think I will get the whole collection this time! SO many pretty colors--and one of them includes my maiden name--so I will be buying bottles for family members LOLOL Not often I see it, esp on a polish! LOVE all the pictures--your nails look amazing!! Hey I just started my own polish blog, mainly to keep track of things for myself, but I wanted to say hi and that I've loved following your stuff recently. :) This OPI collection is possibly my favorite ever. I want every single shimmer, and most of the cremes. Swoon. This is my first comment on a nailblog ever! That's how gorgeous your nails, photos, and these colors are! Thank you!!! I love every single one of these shimmers. That's really rare for me! I cannot wait for this collection! 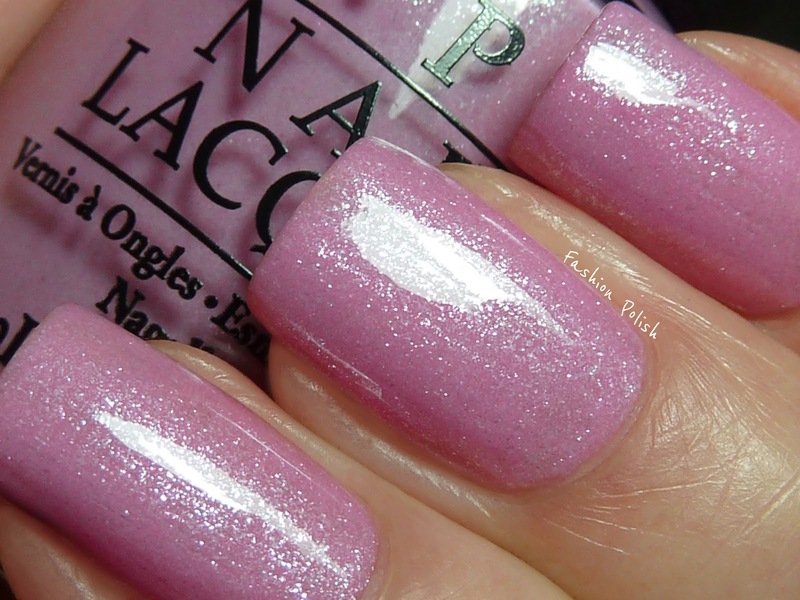 Aaaww y does opi has to come out w such of LOVELY COLORS... I was never into laquers until watching you tube beauty ch. 's :( now i have 43 polishes, and i do use them all :) NICE SWATCHES! OOOHH by the way i use to bite My nails...and still tempt to do so but i have nails Now thanks to nail polishes and ANTI-BITE NAIL WROTH :) <3 polishes. I am the MOST excited I've been in a long time for this collection. Thank you so much for these amazing photos and great reviews!!! You rock! Wow what beautiful swatches - a lovely collection! I GASPed for each one....AMAZING collection! Hmmm... I'm feeling like Wooden Shoe Like to Know is the first brownish/taupe polish I've ever actually wanted. It's very pretty! I Don't Give a Rotterdam is AWESOME! I agree, this collection is top-notch. especially love the brown and eggplant. Thanks for sharing this with your readers. I can't stop looking at these pictures. I want them all right now! lol. I've never actually liked a whole collection, but OPI really hit it off this spring. I'm thinking of just buying up the whole collection. Especially love those blues. *sigh* Can't wait to get my hands on those. I absolutely love this new collection! So excited! I want 3 of each, literally I'm not buying a single polish in January because it's goin' down in February!! Thanks for these AMAZING swatches, they truly are as good as it gets! I love this color scheme. The subtle sparkles are brilliant. Can't wait! I NEED THESE. A couple of them look like Zoya's new collection. These are to die for! 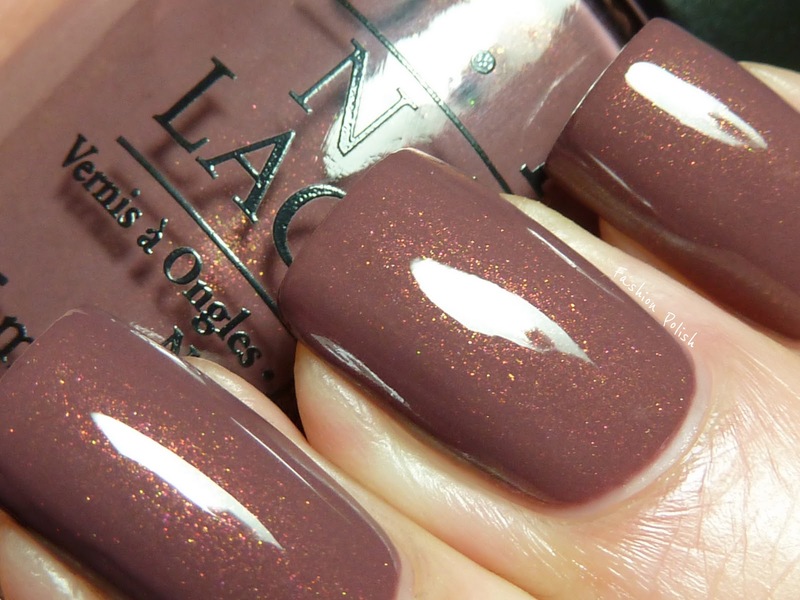 OPI, in my humble opinion, has not put out a collection this spectacular in ages! I do prefer cremes over shimmer but these are must haves. Thanks for posting these.  They're all so gorgeous but Wooden Shoe Like to Know and I Don't Give a Rotterdam! are my favorites. Loooooove all of them <3 Ugh my wallet is not happy! thank u for your beautiful pictures, u have gorgeous nails!! beautiful!! <3 a must have! Ahhh! I am freaking out! These are all amazing! Any idea on the release date?!?! I love all the new colors - it will be very hard to choose just one!! thanks for sharing - great pictures!! Great photos, showed the colors brilliantly! So far, I have 3 of these colors! Planning to collect all of them :) What top coat do you use? It's so shiny & pretty! what's your secret to perfect pictures?